more than 100 of them, had been slashed apart. 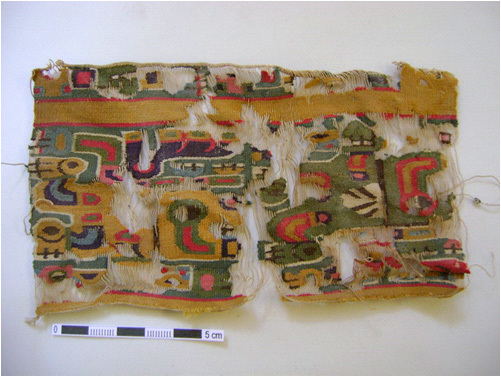 1,200 beautifully preserved textiles have also been found at La Real. these include the foot of a puma, pictured here. used to hang them on is still intact. pottery and scattered the pieces in the tomb. 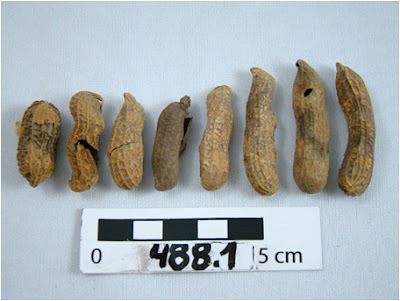 Food offerings were also found at La Real, including the remains of peanuts. A team of researchers, investigating artefacts and skeletons from a site called “La Real,” in Peru, have come across evidence of an unusual ritual. They discovered that about 1,400 years ago people at the site were carefully bundling up their dead into mummies by using a sack, twine, textiles and a headdress. Then, after all this work was completed, they ripped them apart. The site at La Real, located in the Majes Valley, consists of a sealed cave containing mummies, and an outlying structure which has what appears to be offerings. More than 100 mummies were buried in the cave along with a layer of animal remains including a puma foot, dog heads, parrot heads, llamas and even the remains of a condor. Nearly 700 ceramics and 1,200 textiles were discovered at the site along with food offerings, such as peanuts. 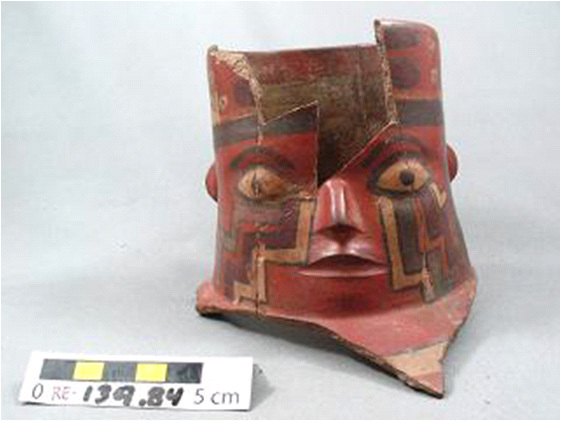 Several examples of exotic goods were also found including silver and gold embossed plaques, feathered textiles and, most gruesomely, seven human trophy skulls, each with a thread at the top to use as a hanger. 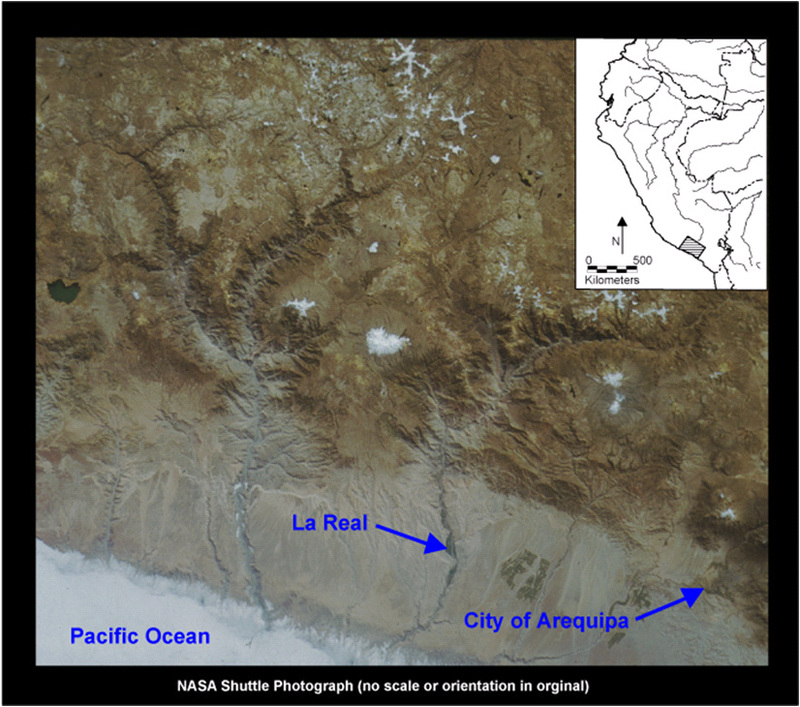 La Real was discovered in 1991 when workers expanding a soccer field came across the sealed up cave. Archaeologists were called in and a salvage excavation was carried out, with the aim being to excavate, catalogue and store the material. Recently a team led by Justin Jennings and Willy Yépez Alvarez re-opened the investigation – analyzing the human remains and artefacts in an effort to determine what was happening at the site. Jennings discussed the team’s findings at an archaeological conference in Toronto last weekend. 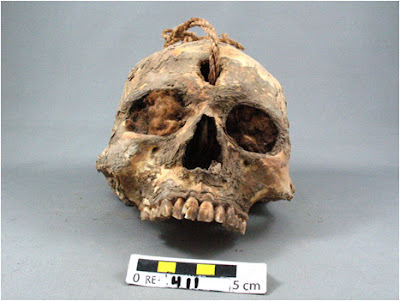 When the team analyzed the skeletal remains of the mummies they discovered that, when the people were alive, they suffered from an “extreme” level of violence. 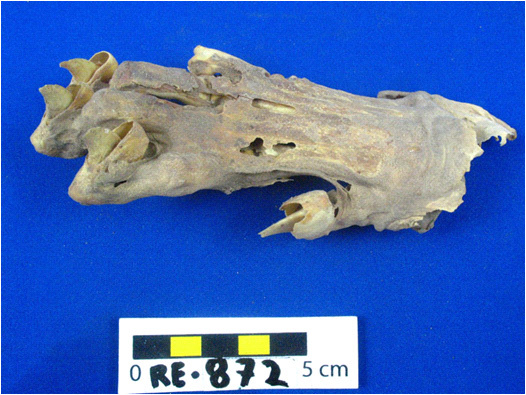 “At La Real, 32 out of 104 adult crania with at least half of their cranial vault bones present show at least one head wound,” writes Dr. Tiffiny Tung, of the Department of Anthropology at Vanderbilt University, in a paper published in the American Journal of Physical Anthropology. The big question is why would the people who lived near La Real hack apart the mummified bodies of their own people? The fact that the cave’s seal was intact, and precious metals found inside, suggests that it wasn’t done by grave robbers or invaders. 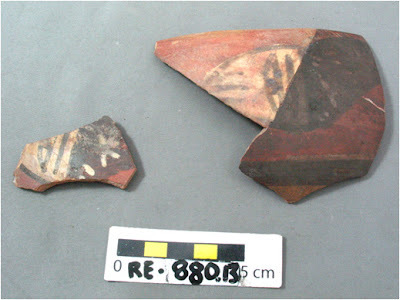 Jennings pointed out that in addition to slashing the mummies the people also destroyed objects. 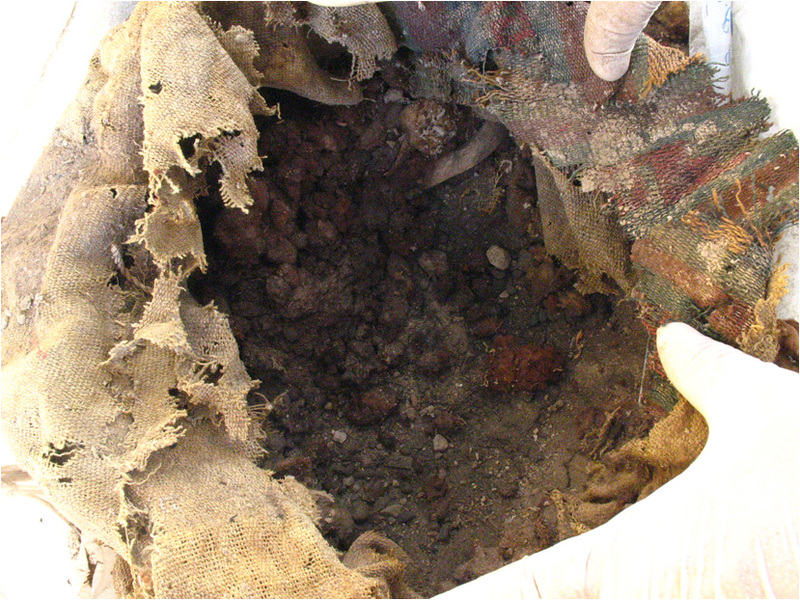 They hacked textiles apart, smashed pots, set them on fire and scattered their remains in the cave. “Not only have you broken and shredded these (but) then you go ahead and add fire to the equation,” he said. Jennings said that social changes that were happening in the region may hold the key to understanding what was going on at La Real. Archaeological evidence shows that around 1,400 years ago people in the Majes Valley were being incorporated into a civilization known as the Wari. Society in the region was changing from one that was largely egalitarian, to one that had large class differences. He compared the situation to the 2004 United States presidential election when John Kerry, a somewhat unpopular senator, was running against George W. Bush, a deeply divisive president. The people of La Real objected to the fact that their society was becoming more unequal. Even though they were powerless to stop it in life, they thought they could do something about it in death. the slash meant that the people were actually posthumously dishonored. They were an example to others to obey the given word.